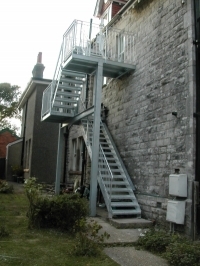 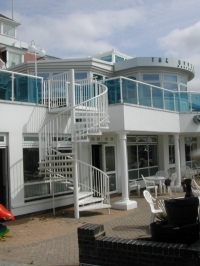 We have been designing, fabricating and installing steel stairs and fire escapes for more than twenty years. 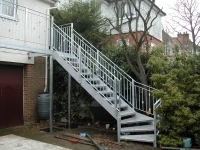 You will find our work in schools, factories, apartment blocks, shops and domestic properties throughout the local area and beyond. 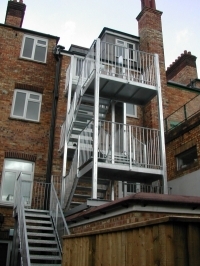 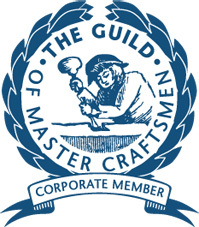 We comply with all building regulations and requirements, for your safety and peace of mind. 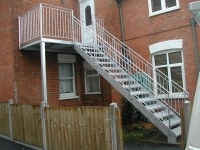 We also repair and refurbish existing stairs and are happy to provide you with a free quotation.